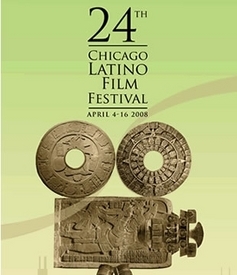 CHICAGO — Approaching a quarter century, the 24th Chicago Latino Film Festival, sponsored by the International Latino Cultural Center of Chicago (ILCCC), is the country’s oldest and largest. The festival premieres 126 films — 50 fictional features, 29 documentary features, 41 shorts and six award-winning high school student-made films. From April 4-16, 50 directors are answering questions and participating in discussions. The films are screening primarily at the Landmark (on Clark and Diversey) and Piper’s Alley (on North and Wells). He added, “Our dream is to build a center where we can showcase all the talent of Latino people. Now because of economic hardship, the negative side of globalization has a positive side. Latino culture has moved to the U.S., Canada and the EU. The festival and the films have proven they are such a good way to break down the stereotyping, racism and discrimination that exist. The more you see, the more you save, so get your money’s worth and become a member for the best deal. Tickets are $10, $9 for seniors, disabled and students, and $8 for ILCCC members. Memberships start at $50 for individuals and $75 for duals. If you see 12 movies you’ll make your money back. Passes for 10 films are $80 (members $70). Members can borrow from the center’s video library. The festival is the only Chicago venue where new Cuban films are screened, and they have a popular following. The opening, closing and “Mexican Night” feature a movie and a gala party. On closing night, April 16, Jacobo Morales, director of “Angel,” from Puerto Rico, will be honored with the festival award “The Gloria” for lifetime achievement. For more info go to www.latinoculturalcenter.org. Except where noted, all films have English subtitles. Call ahead at (312) 409-1757, since some films don’t make it through freight or customs on time. When winter won’t leave and we desire the warmth and light of spring, the Latino Film Festival is just the medicine. The lights go off and then the movie brings the warmth and brightness Chicago so desperately needs and deserves. While the Latino Film Festival is running, the Gene Siskel Film Center is featuring the Asian American Film Festival and the Palestinian Film Festival. The Asian American showcase runs from April 11-24. Opening night will feature Academy Award winner Jessica Yu’s new movie, “Ping Pong Playa.” Six fictional features, four documentaries and two shorts will be screened. The 7th Annual Palestinian Film Festival will be held April 25-May 8. For those who have not seen one of these films, it is more than eye opening, especially if you are tired of the spin on the nightly news that all Palestinians are terrorists. This year’s festival will screen three fictional features, seven documentaries and four shorts in combination with features. All these special features may bring the downside of a global economy in crisis, but they also share the upside of humanity. So March madness doesn’t end. Instead of basketballs, bounce your globe and swish one at half court for the whole tamale. Enjoy and stay tuned for some reviews. Ruth Perea and Molly Rose contributed to this review.